One of the major foreign policy issues facing the world over the past few years is the Syrian Civil War and the formation of groups such as ISIS as a result of the instabilities created due to the conflict. In spite of the urgency of ending the conflict and combating the rise of organizations such as ISIS, there has been little effort on the world stage to come up with an adequate plan to do so. A major reason the international community has yet to come up with a plan to fight ISIS and end the Syrian Civil War is due to different visions between world powers over the best way to do so. The U.S. argues that the ultimate goal of any intervention in Syria would be that Syrian President Bashar al-Assad would peacefully step down from power. In contrast, Russia is a close ally of Assad and their only military outpost in the Middle East is in Syria. Russia believes that any regime change in Syria would lead to increased instability in the Middle East and threaten their military presence in the region. 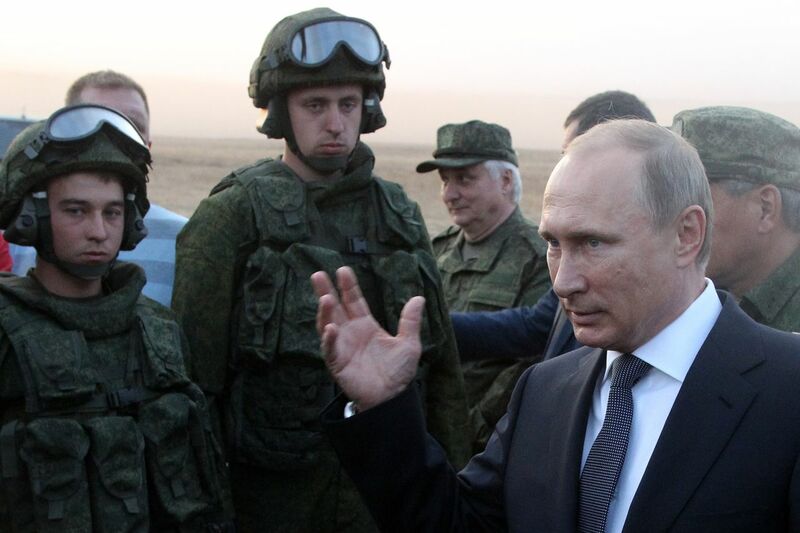 In recent weeks, Russian President Vladimir Putin has stepped up Russian presence in Syria and has begun a military build-up in the country. U.S. diplomats have cautioned Russia against such a move, arguing that it would lead to even greater instability and violence in Syria. Additionally, the U.S. fears that a potential confrontation may emerge between U.S.-backed coalition members and Russian forces in Syria if Russia continues expanding its military presence in the region. Despite the differences in opinion between the U.S. and Russia, Putin has come up with several proposals to combat ISIS, put an end to the Syrian Civil War and restore a greater sense of stability to the Middle East. Vladimir Putin’s plan includes several components. The first part is that the U.S. and its allies coordinate their actions against ISIS with the Russian, Iraqi, Iranian and Syrian armies. Through the coordination of their actions, Putin hopes that any conflict between coalition members can be reduced and that a consensus to stop the spread of ISIS can emerge on the international level. Also, Russia also stated that their plan would put in place measures that would gradually transition political power away from Assad. Putin has also stated that if the U.S. and its allies reject his offer, he would be prepared to take military actions against ISIS in Syria unilaterally. Putin is hoping that the U.S. will accept his plan on the basis of it being the only realistic way to bring an end to the Syrian Civil War and contribute greater stability to the Middle East. The reaction to Putin’s proposal has been mixed. For example, UN Ambassador Samantha Powers has stated that the U.S. would be unwilling to join in a coalition with the Syrian army because of Syrian Bashar al-Assad’s human rights record and alleged actions over the course of the war. Also, U.S. officials question Putin’s motives and feel that his plan is not comprehensive enough to be successful. Despite their reluctance to side with Russia, the Obama Administration did announce that it would be willing to engage in talks with Russia over the issue in the coming weeks. Additionally, Russian Foreign Minister Sergei Lavrov stated that the U.S. has become more receptive to Russia’s position and that it moderated two parts of its Syrian policy, that Assad must step down from power and that it will not negotiate with his government. The proposed course of action by Russia regarding the Syrian Civil War could involve resorting to several components of international law. For example, Russia could present its case before the UN Security Council. After reviewing the case, the Security Council may call on the parties involved in the Syrian Civil War to settle their disputes via peaceful means. Furthermore, Russia can receive the authority to strike ISIS forces within Syria if it is given permission by the Syrian government to do so. If Russia acts without Syria’s permission, they would be in violation of Article 2 Paragraph 4 of the UN Charter, which prohibits the use of force against another country in terms other than that of self-defense. On the other hand, Russia could use the argument that their actions against ISIS are purely self-defense. At that point, Russia’s actions would be in accord with Article 51 of the UN Charter, which states that any member nations has a right to self-defense until the Security Council has taken measures to maintain international peace and security.